Why don’t Christians celebrate Yeshua’s resurrection on the third day after the Passover? A few weeks ago I was standing with some of my colleagues from FFOZ in “The Last Supper Room” in Jerusalem. Well, it isn’t the actual “upper room” in which Yeshua celebrated his final Passover meal with his disciples—that structure was probably destroyed by the Romans in the aftermath of the Bar-Kochba Revolt, sometime around 135 CE. The second-story room we were standing in was actually built by the Crusaders during the early part of the twelfth century. 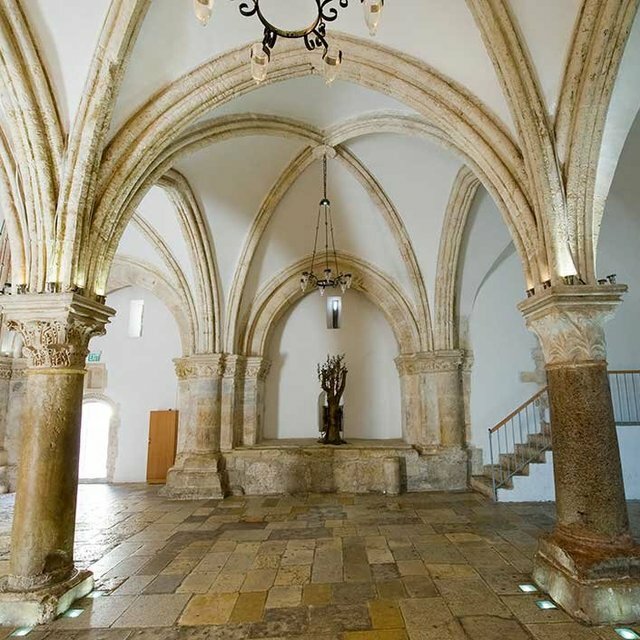 Scholars nevertheless agree that this room, which is located on Mount Zion directly above the Tomb of David and just a stone’s throw from the Dormition Abbey, is probably the actual location of the original upper room. And as if that weren’t exciting enough (which, of course, it is), there is good reason to believe that the room below housed the very first messianic synagogue in Jerusalem! Archeologists don’t believe this room to be the actual location of David’s tomb. It is rather a synagogue built during the Roman Era but unlike all other synagogues, both then and now, it does not face toward the Temple. The synagogue instead faces north toward Golgotha, the place of Yeshua’s resurrection. Even if the upper room is not a part of the original structure, it’s difficult to stand in that room and not get swept up in the moment. What was it like to celebrate the Passover with the Master and remember the exodus from Egypt? What thoughts were the disciples thinking when Yeshua took the matzah and the Cup of Redemption and imbued them with even greater significance, turning them into symbols of his own sacrificial death and resurrection? I can only imagine what it was like to be a part of that first messianic synagogue in the room below. The discussions that took place there during the Passover Seder in the years that followed must have been nothing short of amazing. I have to admit that, although I had visited this site before, I never thought of it as anything other than an old twelfth-century Crusader structure built centuries after the Gospels were written, having little or nothing really to do with Passover or the real “Last Supper.” But I was wrong, of course. While the “Last Supper Room” isn’t the actual room where Yeshua celebrated the Passover with his disciples, it does sit on top of, or at least very near, the original location. This was the spot on which one of the most important events in all of human history took place. It was one of those “goose-bumps” kind of moments. On the other hand, and at the risk of completely contradicting everything I just said, that moment didn’t last very long. 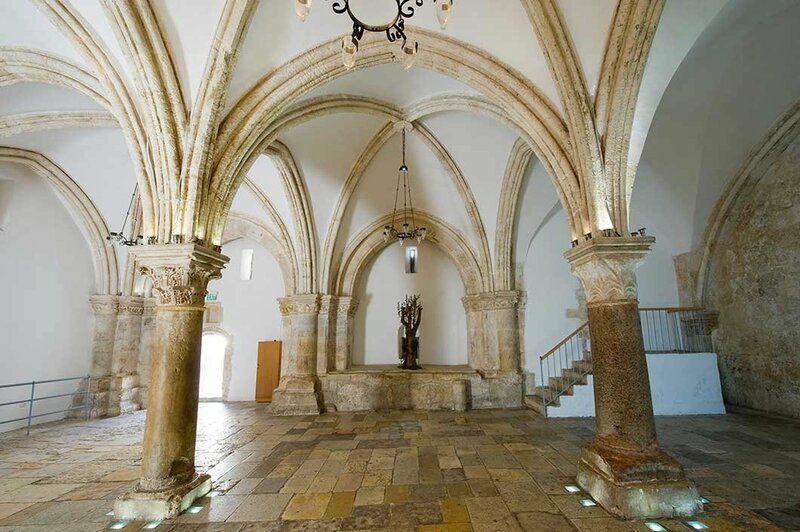 I suddenly reminded myself that I was indeed standing in a room built in the twelfth century by the Crusaders—a group of medieval knights who conquered the Holy Land and purged Jerusalem of both Muslims and Jews in the name of Jesus Christ. The so-called “Last Supper Room” didn’t seem all that meaningful after all. As a physical structure, the present “upper room” is separated from the real Last Supper by hundreds of years and has no real biblical significance. However, as an artifact of a Christianity that had divested the Last Supper of its Jewish context, there is no escaping the room’s importance. Which brings me to my point. How did the Last Supper become so utterly detached from the Passover? We know from the Gospels that the resurrection of Yeshua took place on the third day after the Passover. Shouldn’t Christians follow this timeline and celebrate Yeshua’s death and resurrection during the same time period? As I write this on April 3, 2016, Passover is still almost three weeks away. Yet on the Western church’s liturgical calendar, Easter—the celebration of Yeshua’s resurrection—has already come and gone. Protestants and Catholics observed Easter on March 27th of this year. Christians in the Eastern church won’t celebrate Easter until May 1st of this year, nine days after Passover begins. So why don’t Christians celebrate Yeshua’s resurrection on the third day after the Passover? Like everything in life, the answer is complicated so I’ll spare you a long and tortured explanation. Suffice it to say that, by the second century, “the church” was composed mostly of non-Jews and by the fourth century it had completely divested itself of its Jewish heritage. Nevertheless some Christians in Asia Minor (modern Turkey) still favored commemorating Yeshua’s death on the 14th of Nisan and the subsequent resurrection on Nisan 16. The church in the West disagreed and maintained that Christians were under no obligation to follow the Jewish calendar. Rome argued that Sunday was the proper day to commemorate the resurrection because Yeshua rose from the dead on a Sunday. At least in part, the dispute hinged on whether or not the resurrection should be celebrated on a date (the 16th of Nisan) or a day (Sunday). The dispute was resolved in 325 CE when the Council of Nicaea decreed that Easter should be celebrated on the first Sunday after the first full moon following the vernal equinox. In this age of historical revisionism some people want to believe that this schism was simply a debate about a day versus a date; but that is simply not true. The early church was rife with anti-Semitism and it deliberately chose to sever the connection between the celebration of Passover and Yeshua’s resurrection. But, as they say, “time heals all wounds.” Although most Christians today would renounce the early church’s virulent anti-Semitism, few people would feel the need to revisit the dates of Holy Week. That was a long time ago and the church’s liturgical calendar has been set in stone for years. Does it really matter now? The answer, of course, is yes! It matters. It matters because tearing the Last Super and Yeshua’s resurrection from their Passover context comes at a terrible cost. If we fail to appreciate the Jewish context of these events our understanding of the kingdom of God is severely diminished. In Matthew 28:5-6, an angel greeted the two very shocked women who came to Yeshua’s tomb. “Do not be afraid, for I know that you are looking for Yeshua, who was crucified. He is not here; he has risen, just as he said.” That fact, to put it mildly, changed everything. The world was never the same again. And as a result, each year Christians all over the world celebrate Yeshua’s resurrection, and they are right to do so. The Apostle Paul reminds the Corinthians that because Yeshua rose from the dead we can rest assured that we also will rise from the dead. He has been raised from the dead as the firstfruits of those who have fallen asleep (1 Corinthians 15:20). Because he died for our sins “death has been swallowed up in victory” (1 Corinthians 15:54). As disciples of the Master, we believe every word of that confession to be true. There are simply no words to express the incomprehensible hope that is ours. But amazingly, our resurrection is just a small part of a much larger reality that Yeshua’s resurrection brings about. Paul’s declaration that “death has been swallowed up in victory” is actually a quotation from Isaiah 25, which envisions the eschatological banquet that will take place at the end of the age when HaShem will destroy the shroud of death that covers the nations and he will remove the disgrace of his people, the Jewish people. God’s kingdom is nothing less than the restoration of Israel and the conversion of the Gentiles. During the seder, Yeshua linked the Passover meal and the new covenant of Jeremiah 31 to the promised eschatological banquet of Isaiah 25. In Matthew 26:29, Yeshua states, “But I say to you, from now on I will not drink from this fruit of the vine until that day when I drink it with you new in the kingdom of my father.” The allusion here is to the eschatological banquet, which depicts the consummation of the Messianic Kingdom in terms of a joyful celebration. The Messianic Kingdom comes to fruition with the return of the righteous remnant to the land of Israel and the pilgrimage of the Gentile nations to Zion (Isaiah 2:2-4; Micah 4:1-3; Zechariah 8:20-23, 14:16). Table fellowship in the kingdom symbolizes the nation’s eschatological restoration. The Last Supper was a symbolic act—a foretaste of the fellowship meal that awaited the faithful remnant in the kingdom of God. The forgiveness of sin, the reversal of judgment, the end of exile, the restoration of Zion, the conversion of the Gentiles, and the consummation of God’s kingdom are all themes bound up in that event. In a word, the Last Supper—the Messiah’s Passover, anticipated the cosmic transformation of the entire world. Scot McKnight, A New Vision for Israel: The Teachings of Jesus in National Context (Grand Rapids, MI: Eerdmans, 1999), 235. The Passover Seder is an eye-opening ceremony, full of multi-sensory experiences that teach about God's powerful work of redemption. 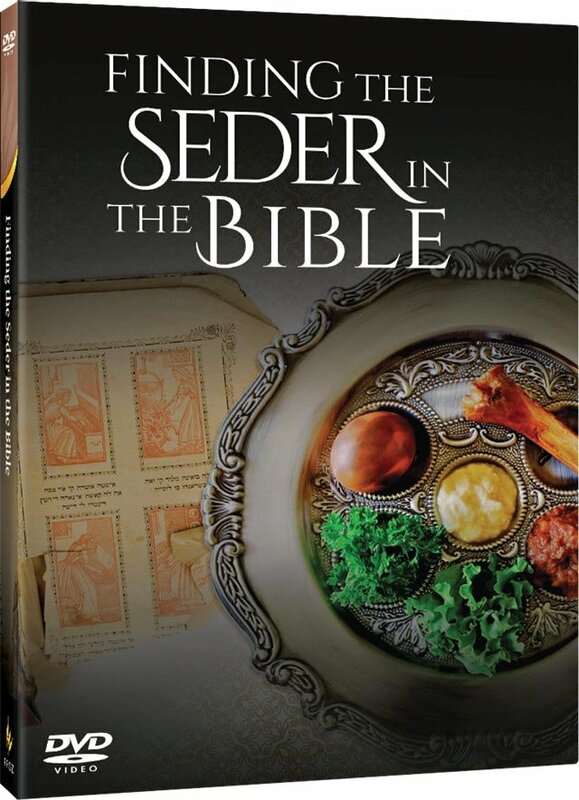 But there's only one problem: the Bible doesn't seem to tell us to have a Seder at all. Where did this custom come from, and is it biblical?